Taking a leaf out of the Eating Leeds blog, I'd like to devote this posting to the delights of food. This weekend has been great for eating out- from a Thai curry to a Beef Wellington. 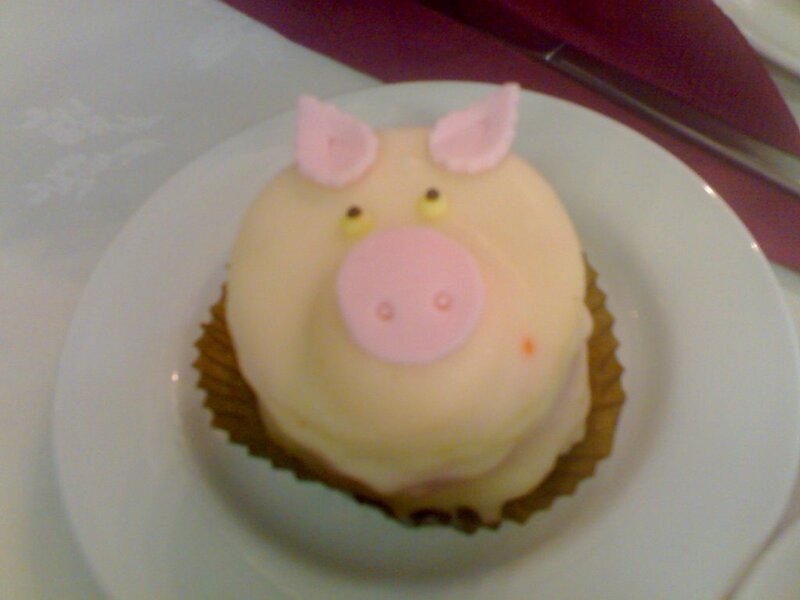 However the most blogworthy delight had to be the fondant fancy in the shape of a pig. Even 30ish year old guys aren't too old for a Fondant Fancy. Thanks to The Polly Tea Rooms of Salisbury.